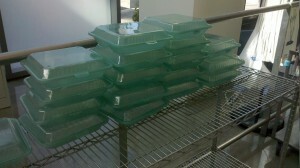 Have you seen people walking around with funky green plastic containers? Well, those are part of Cal Dining’s new Chews to Reuse system. Not only do you get to giggle over the adorable pun (or snort, whichever you prefer) but you get to save money while being told you’re saving the environment — one fabulous, innovative to-go box at a time. Here’s how it works. You walk into Crossroads, or any other dining hall for that matter. When you tell the cashier you want it to-go so that you can take food back to your room and chow down while watching Glee, she asks if you’d like regular or reusable. What’s this? Shiny new boxes that don’t look at all like the boring cardboard to-go containers you’re used to. Say you want the exciting shiny stuff and you’ll be charged three dollars instead of the usual seventy-five cents. But don’t worry, you’ll get that whopping investment back at the end of the semester. This is the part most students might actually care about, no offense to all avid recyclers. Pay once for the box in the beginning, and every time you go back for food you simply drop the box off in bins by the cashier and pick up a new one. Then, once you’ve made your last drop off of the semester – most likely in a well-deserved jubilee of exams being over – you get that money back. So instead of wasting more valuable meal points/dollars (since, believe it or not meal points do stand for actual monetary values) and killing landfills with boxes that apparently take ages to decompose into healthy, sustainable gunk, you reuse! You have to clean the thing before giving it back instead of just tossing it in the trash like you used to, but hey, the Earth thanks you. Next time the dining hall depresses you too much to actually want to eat within its hallowed halls, Chews to Reuse! Grab that pretty green box and bolt as far away as you can. 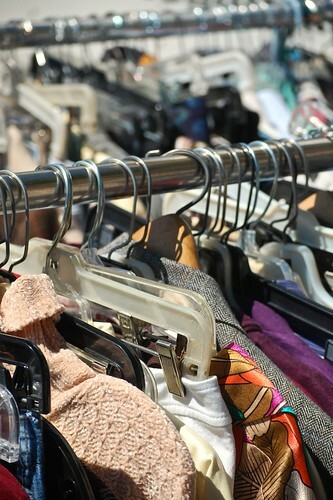 Thrift is the Word: ReUse Second Chance Clothing Sale! Cleaning out your closets to make room for some new autumn styles? ReUse has got you covered, in every sense of the term. Stop by their Second Chance Clothing Sale, which is going down in Lower Sproul from 11 a.m. to 4 p.m. this Tuesday to Thursday (10/9-10/11). Everything is $1-3. We repeat: EVERYTHING. They’ll also be giving away binders, folder organizers, and other office supplies FOR FREE. And as if that isn’t enough, they’re raffling off five Klean Kanteen stainless steel mugs to those who sign up for their mailing list at the sale or like their new Facebook page. So make ReUse happy, the planet happy, your wallet happy AND your wardrobe happy, and come on by! 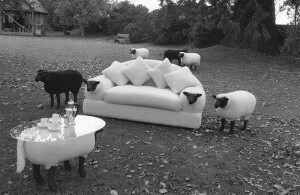 Don’t feel like shopping for that new couch for next year? Get out to CK tomorrow. And bring a car to help you carry the load back home. Or lots of friends. But mainly, a car. Learning about new cultures, meeting new people, dragging furniture home from the side of the road — they’re all important, character-building college experiences. But your character doesn’t need that much building. Berkeley’s Cal Move-Out Program provides a much better alternative to furniture scrounging. Bear-ly Used will pick up your furniture (as long as it has escaped the ravages of collegiate tomfoolery relatively unscathed). The stuff collected will be sold at the Bear-ly Used Bazaar rescheduled for Saturday, June 11, from 10 a.m. to 4 p.m. The ReUSE Online Exchange is, shockingly, just what the name indicates. Items can be given and taken with the help of the internet. So instead of abandoning your poor, unwanted furniture on the side of the road, try using one of these services instead. In case you all weren’t aware, thrifty is cool and reusing is the new recycling. 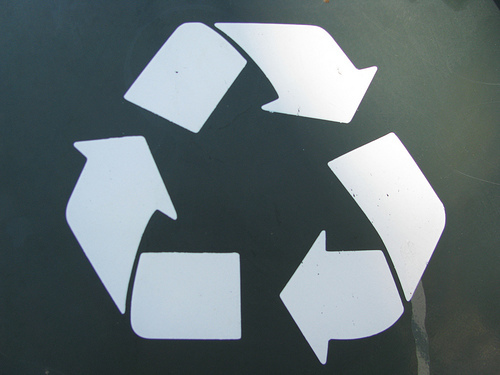 No scratch that, reusing and recycling is the new recycling. Fortunately, the ReUse program makes all this easy to achieve. The program collects people’s unwanted items and redistributes them for free!! And there are few things better in life than free stuff. Other reasons to partake in reuse : 1. Less manufacturing means saving resources, and energy. 2. It’ll make you cool and smart, at the same time! Woah. 3. It’s friggin’ free. Geez. There are locations all over campus including Dwinelle, Barrows, McCone, Le Conte and many more so not wanting to walk is not an excuse. 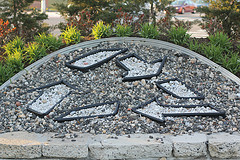 And just in case walking is too much of a burden, ReUse now has a website. We’re giving you the resources to get rid of old stuff, get new free stuff and do it all virtually. Like, you don’t even have to be that awake. Or sober. You can thank us later.